It's vacation season, and we at Travel-Tot know that family trips are where some of life's most magical memories are made! That said, traveling with small children presents certain challenges and hazards which can detract from the joy of the journey. 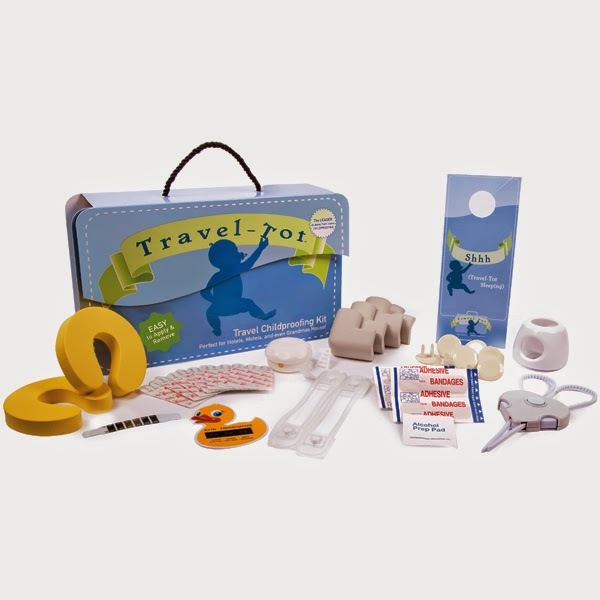 But now you can easily provide a basic level of protection from many common hazards in just minute’s time with the Travel-Tot Childproofing Kit. The Travel-Tot Childproofing Kit provides easily portable childproofing for hotels, motels, and even vacation homes! It’s an easy, temporary, non-damaging solution designed to keep little ones safe anywhere you go. All items requiring application are fastened with temporary, non-damaging adhesive strips. Components require no tools and can be installed in about 5 minutes; they go on strong, and come off clean! Just follow the enclosed directions. Arrange furniture away from windows or doors to prevent accidental escapes or falls. 26 Great Reasons to Visit The Emerald Isle! Sites We Love: Bright Lights, Big City! Travel Sites We Love: Tropicalogy!